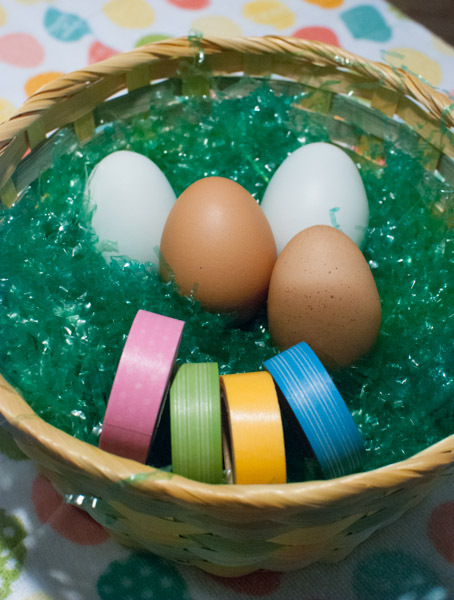 If your child is frustrated that the tape won’t lay completely flat, you can cut some strips in half, lengthwise. Washi tape is a Japanese masking tape used in crafts. Ben Franklin carries it in Hawaii, in a couple of different places in the store. Be sure to ask if you don’t see the colors you want. It is removable and repositionable so it is nice and forgiving. 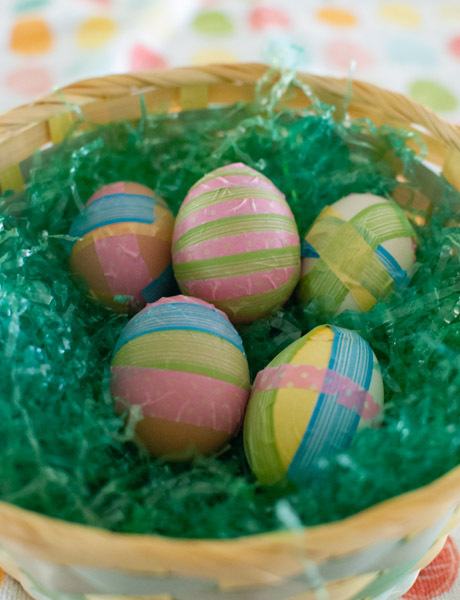 This entry was posted on March 13, 2013 by mdaucello in Crafts, Easter and tagged Crafts, decorate, Easter, eggs.